Comment: 2 car Garage is located below kitchen and dining room, which makes the floors in those room quite cold in the winter months. Would like to have the ceiling of the garage insulated with spray foam insulation. The garage ceiling is finished with drywall. Holes would need to be cut in order to access. 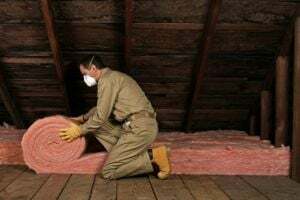 Comment: I would like an estimate for insulation for my attic. The home is approximately 1800 square feet. Comment: We have had 2 proposals that we felt were excessive in pricing. We would love to work with a reputable company in a price range more realistic. Comment: this house was built in the 70s and has no insulation. the attic has been insulated but the main floor needs help. Comment: New house construction. So Iâm insulation in crawlspace and then entire house. Edgewater Insulation Contractors are rated 4.58 out of 5 based on 646 reviews of 9 pros. Not Looking for Insulation Contractors in Edgewater, MD?